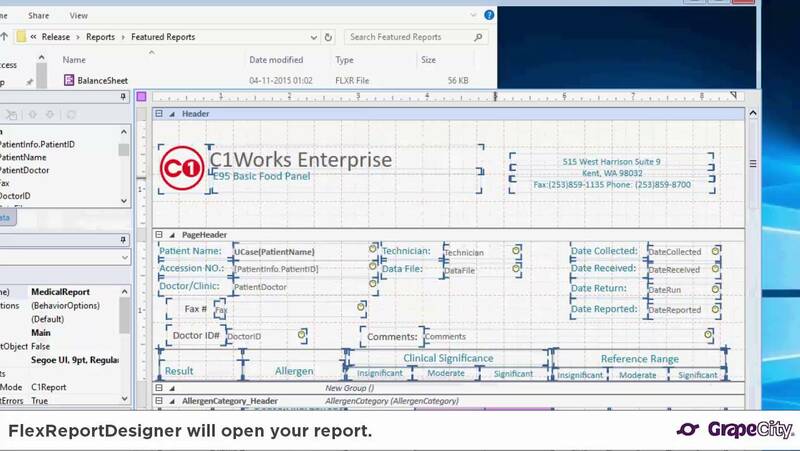 Compare FlexReport's performance to C1Report, ComponentOne's previous reporting tool. 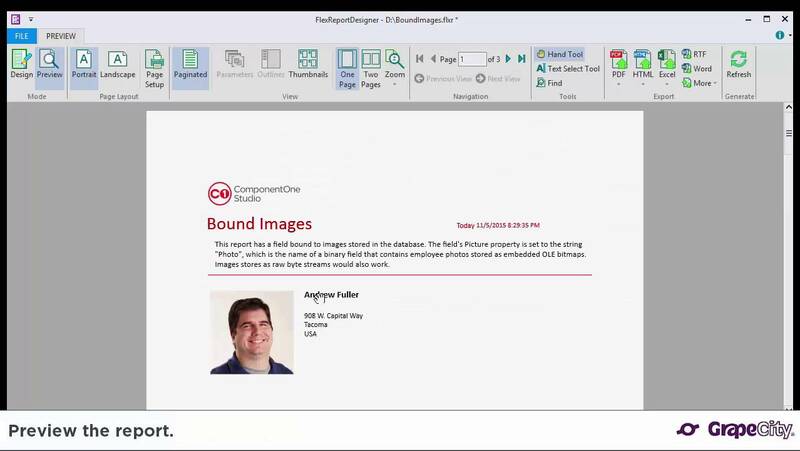 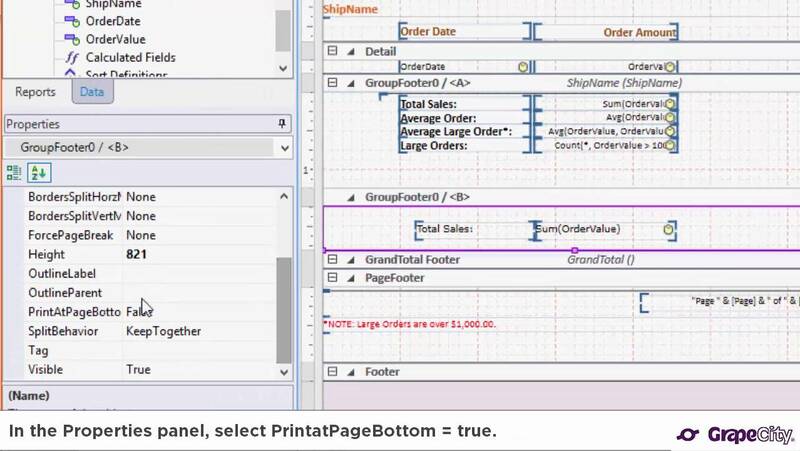 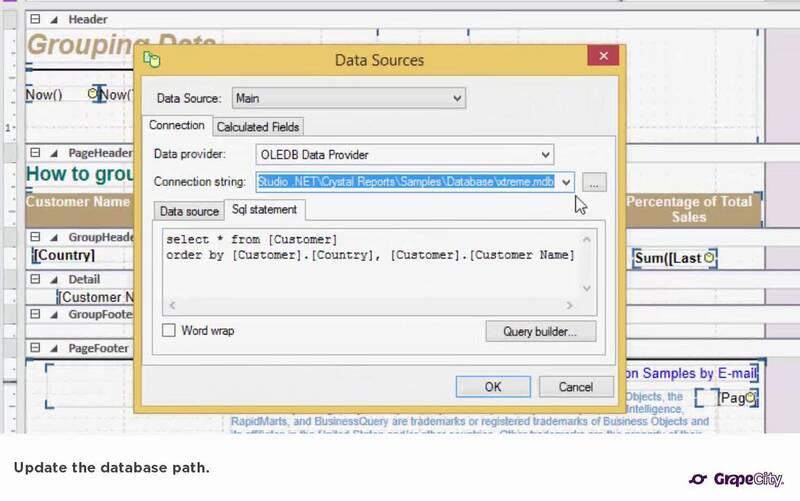 PrintatPageBottom allows users to print subsections consistently across every page in a .NET report. 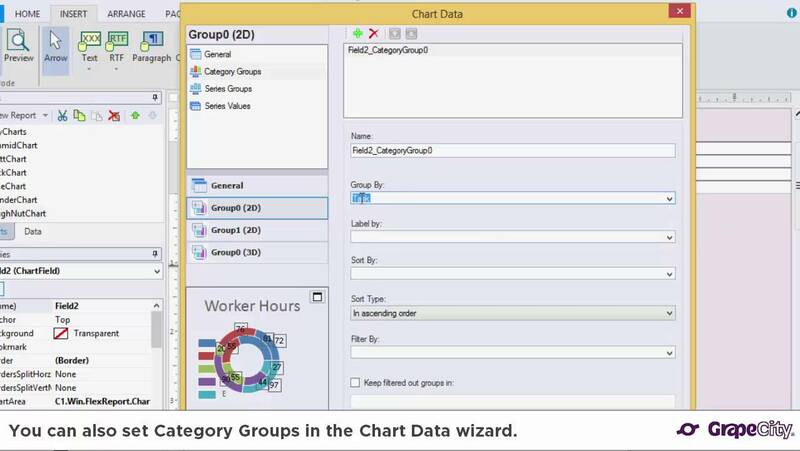 Great for summarizing data! 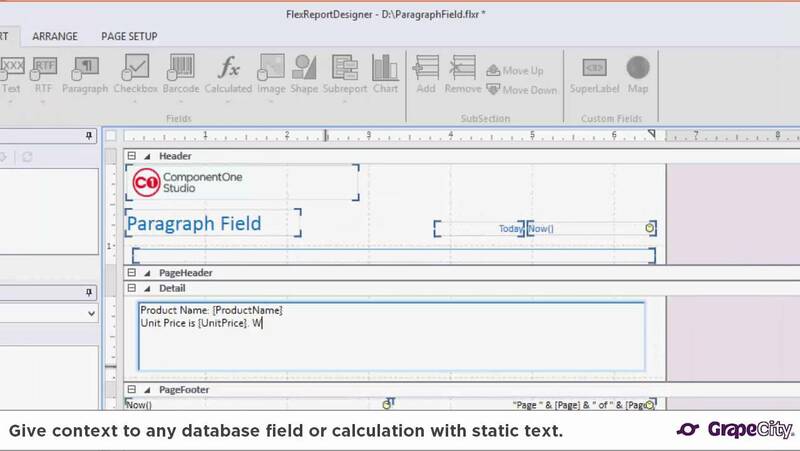 Adding and Editing Calculated Fields in ComponentOne Studio FlexReport for WinForms and UWP. 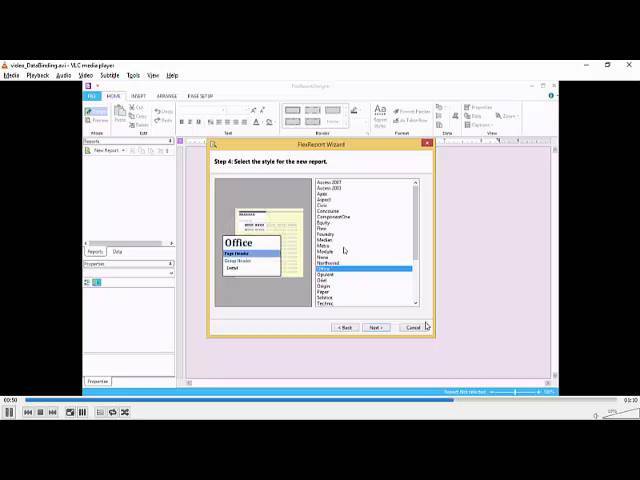 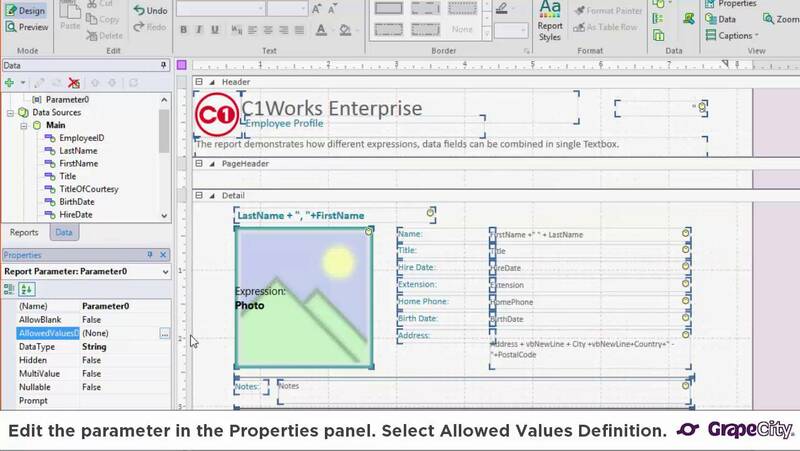 ComponentOne Studio FlexReport for WinForms and UWP allows data binding from multiple data sources. 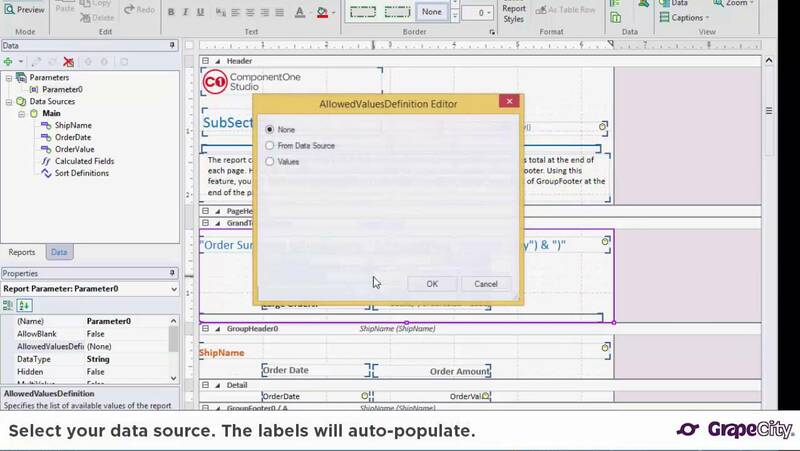 Layout templates include columnar, justified, aligned, tabular, labels, stepped, and outline. 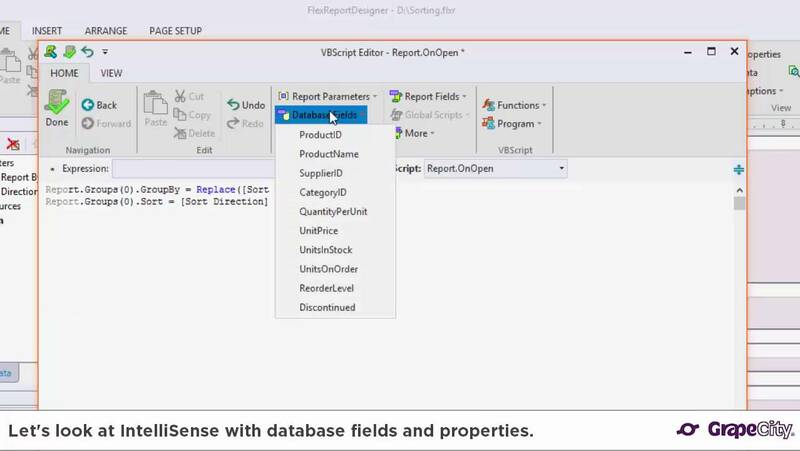 Add and edit parameters in ComponentOne Studio FlexReport reports. 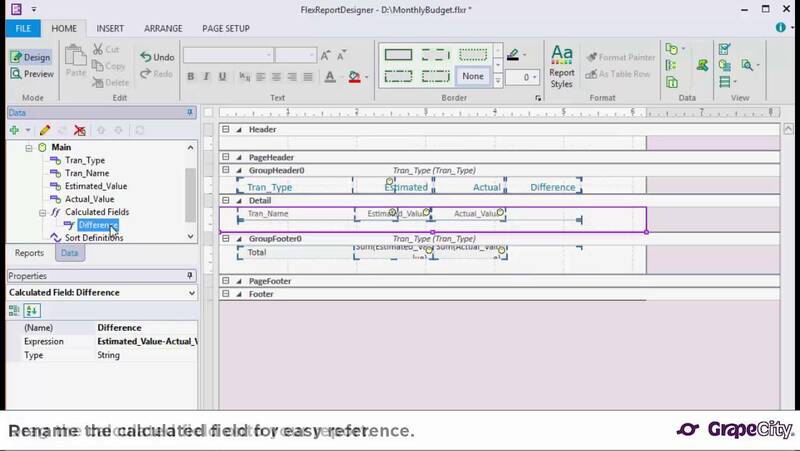 ParagraphField is a powerful text area that combines static text, expressions, scripts, and database fields in a single formattable field. 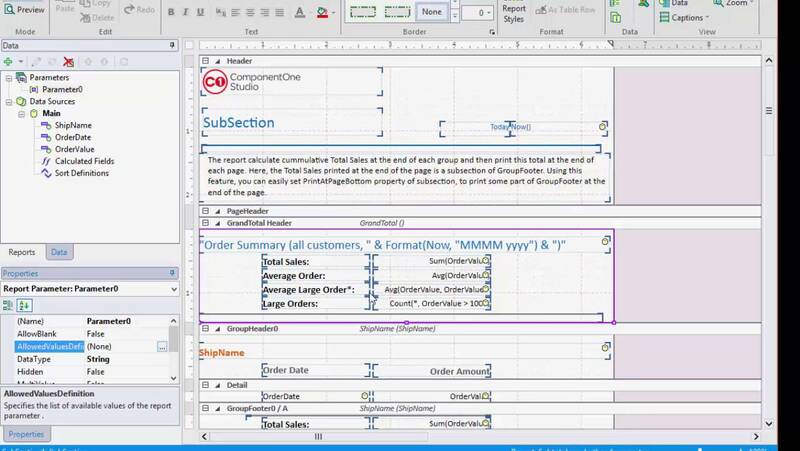 Adding and editing subsections ComponentOne Studio FlexReport for WinForms and UWP. 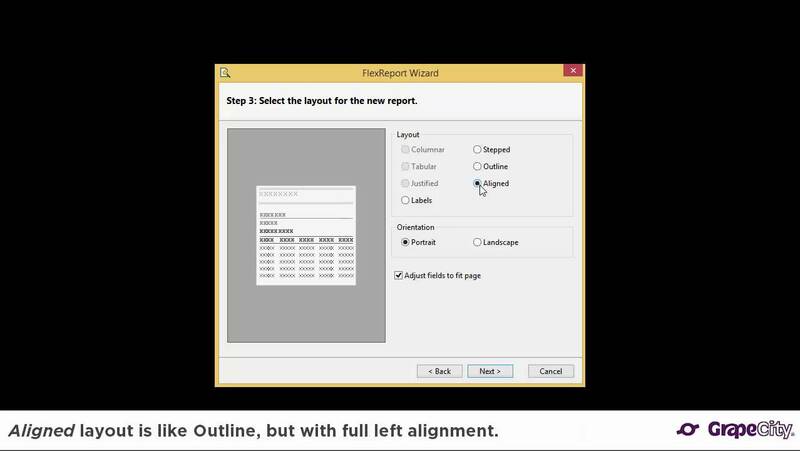 Learn about some of the top features available in FlexReport Designer. 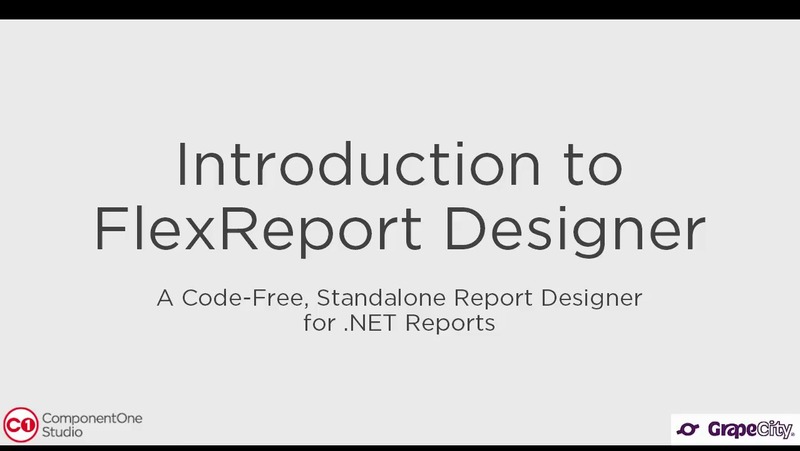 Easily and quickly design reports with FlexReport Designer, a stand-alone desktop app available in ComponentOne Studio, WinForms edition, WPF edition, ASP.NET MVC edition, and UWP edition. 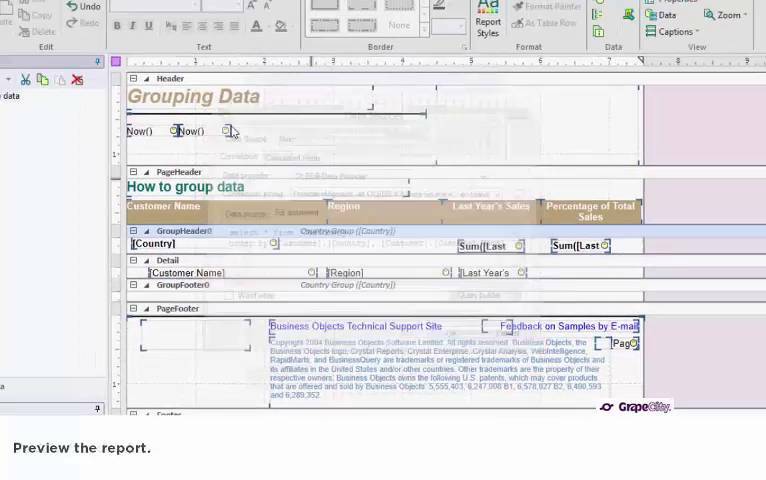 Open existing FlexReport file types in your Explorer. 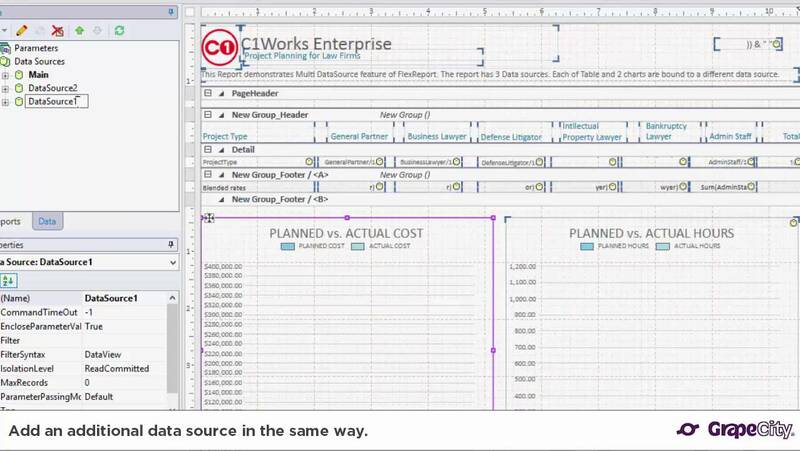 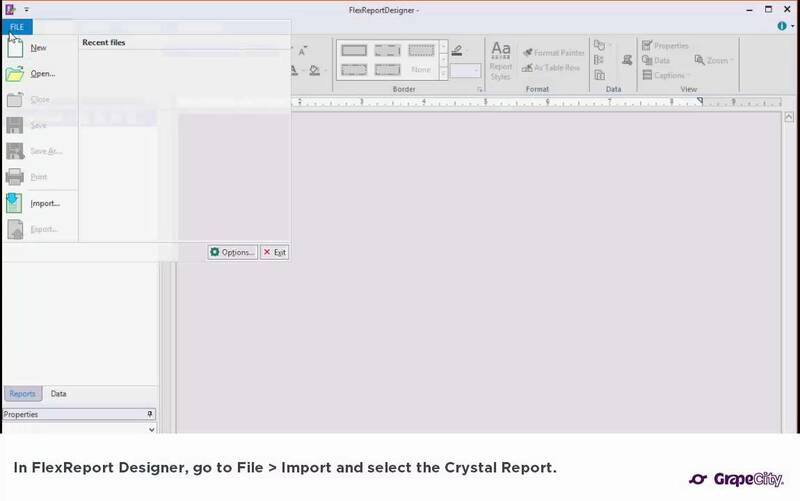 Easily migrate Crystal Reports to ComponentOne Studio FlexReport. 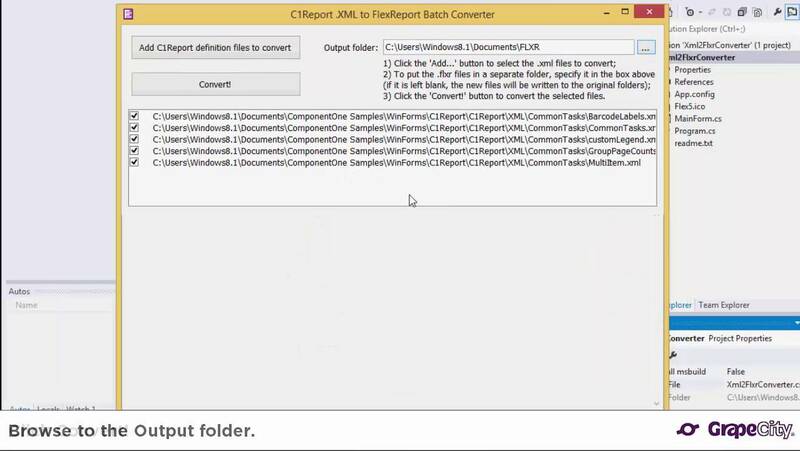 This EXE file allows you batch-convert C1Report XML files to FlexReport FLXR files. 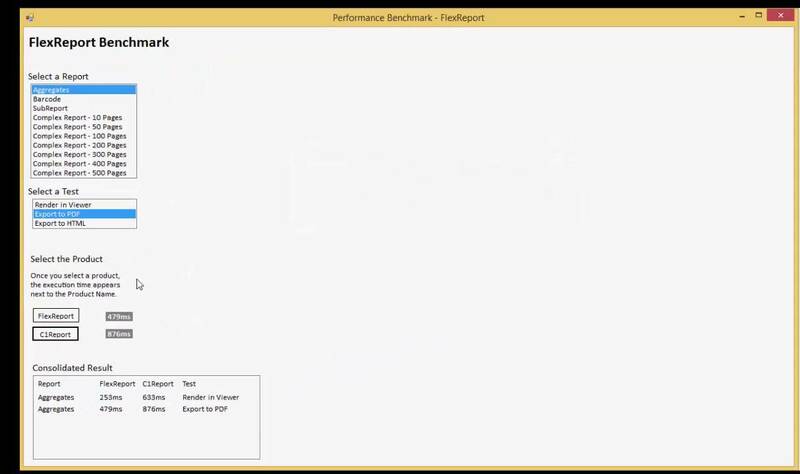 Looking for a lightweight, lightning-fast reporting tool to replace your current bloated .NET reports? 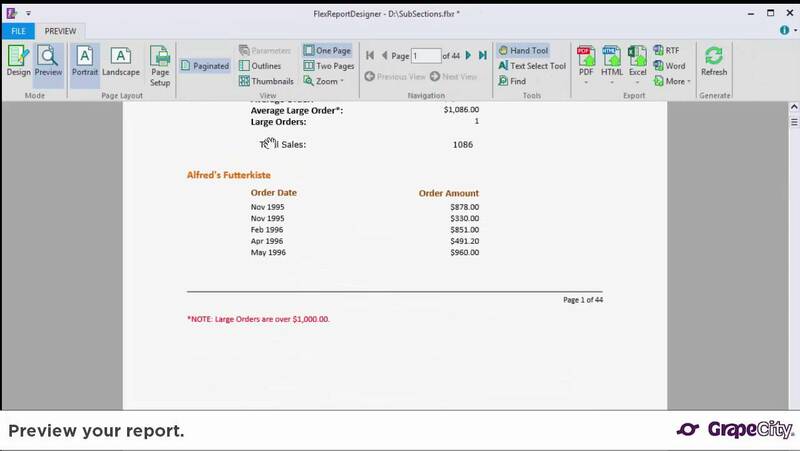 With feature-rich controls, a lightning-fast PDF exporter, and a small footprint, FlexReport offers all the power and speed you're looking for in a reporting app — and with enhanced Crystal Reports compatibility and project conversion, you'll be able to migrate in no time.